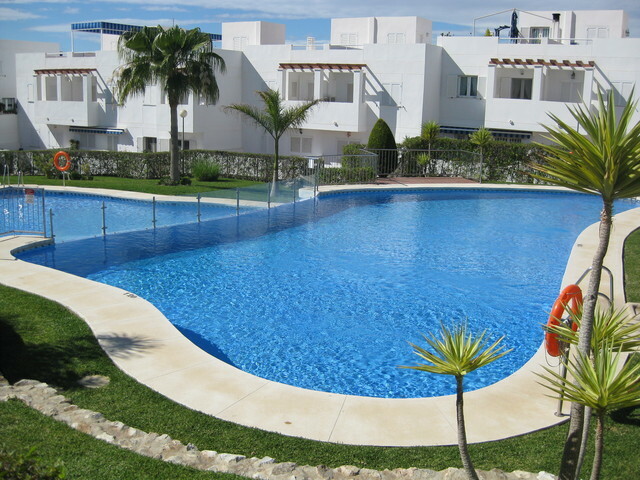 Lovely brand new apartment conveniently situated at the far end of Garrucha (south end) within easy walking distance to beach, supermarket and all amenities in a residential complex with communal gardens, swimming pool, paddle court and table tennis table. There is a Lidl supermarket next to the complex and your are a short walk to a fabulous beach bar/restaurant called Boracay and many others close by. Tastefully decorated ground floor apartment with sea views in new development very close to the seafront and with easy parking in front of main gate in building. It comprises 2 double bedrooms, 2 bathrooms, modern fully fitted and equipped kitchen with quality household appliances, living room with dining area and access to terrace. Main bedroom with king size bed and en suite shower room. The other bedroom has 2 single beds and there is a full family bathroom. Air conditioning and shutters in all rooms. The property benefits from a fibre optic internet connection. This is a corner apartment with terrace/balcony all around allowing sun and shade at all times of the day. 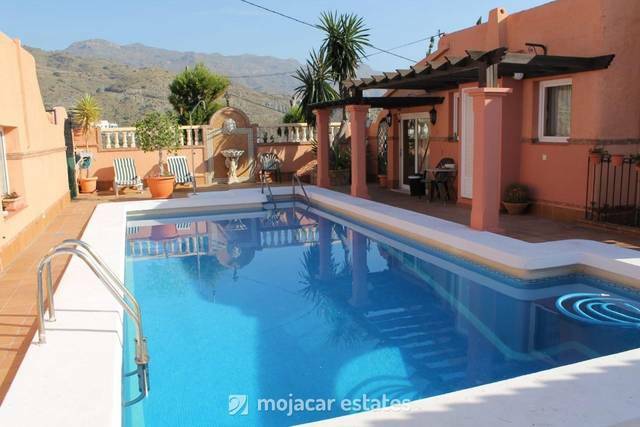 Gardens, 2 swimming pools, paddle court and table tennis table (sports equipment not inc). On the above Google map click on enlarge map and the exact location of the property in Garrucha Costa Almeria Andalusia is marked with the blue pin. 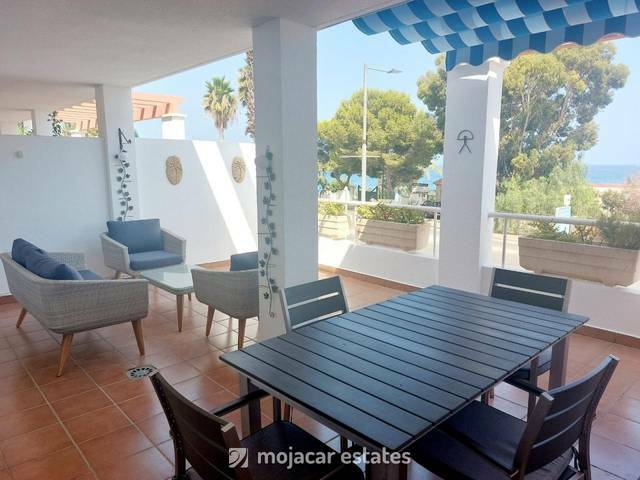 This is a quiet residential area a few minutes walk to beach and all amenities in Garrucha, a typical fishing village with many attractions and amenities, big range of bars and restaurants, harbour, promenade, marina and much more.